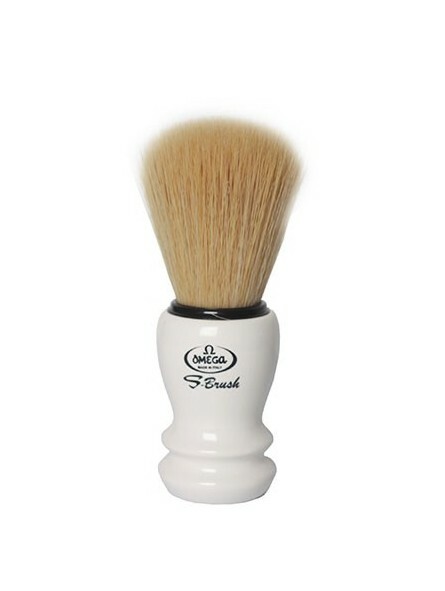 Omega Synthetic Fiber White Handle Shaving Brush S10108. S-Brush series is one of the latest Omega’s additions to their offering. This Synthetic fiber hair and this handle have been both launched in 2014. 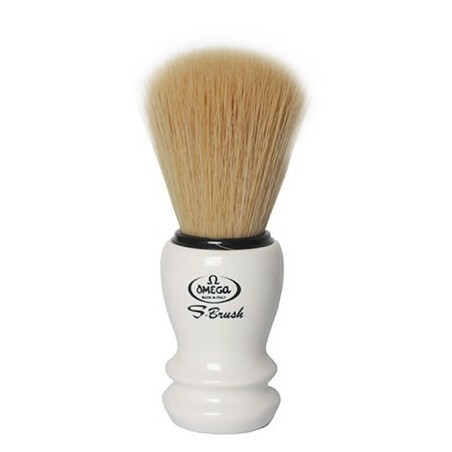 Synthetic Fiber shaving brush with white plastic color handle. Omega is a leading manufacturer of shaving brushes since 1946.